This summer Wood's Navy Rum has created a floating pop-up on the canal at King's Cross (just across from The Lighterman bar). Set up in conjunction with Ladies & Gentlemen bar the neighbourhood bar in Kentish Town, and The London Shell Co, the floating restaurant, it'll be open daily until the end of July 2017 for people to pop in, plus there will be 1 hour bookable cruises at 6.30pm each night. Great idea! "Wood’s Navy Rum is raising a ‘tot’ to the warm weather with their summer pop-up. From 1st June – 30th July, Wood’s in conjunction with Ladies & Gentlemen bar, will be sailing their ship in to King’s Cross with their very own working barge and two pop-up sheds offering Wood’s cocktails, accompanied by tastes of the sea from the London Shell Co.
One-to-watch Kentish Town cocktail bar Ladies & Gentlemen will showcase a Wood’s Navy Rum menu with twists on traditional cocktail classics including the Mai Tai, Pina Colada Slushy and Zombie in the Wood’s. These will be offered alongside a range of innovative serves such as the Jungle Bird Twist, a mix of Wood’s Navy Rum, Jamaican rum, pineapple, orgeat, lemon and house aperitif blend, and the perfect concoction of sweet and sour from the Out of the Wood’s cocktail – combining Wood’s Navy Rum, absinthe, lime, sugar, dry curacao and amaro di angostura. The hero serve of the pop-up will hark back to the rum’s heritage as the spirit enjoyed by sailors on board ship. The Wood’s Greenheart Grog cocktail is themed on the traditional ‘grog’ invented for seafarers in 1740. This simple and refreshing serve perfect for the summer, mixes Wood’s Navy Rum, pink grapefruit juice, lime juice, honey and ginger beer. The cocktail’s ‘greenheart’ element pays tribute to the 250-year old Versailles still made from greenheart wood and used to make part of Wood’s Navy Rum. This is the only wooden still of its kind in the world. For those that miss the chance to visit the pop-up, the Greenheart Grog cocktail will be available to enjoy at Ladies & Gentlemen after the pop-up concludes. 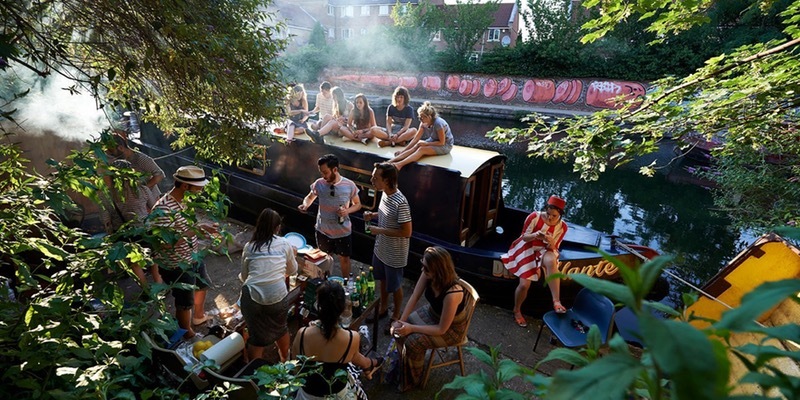 Guests can kick back and relax on the canal bank and soak up the summer sun with a Wood’s cocktail in hand, or enjoy their serve aboard the Wood’s barge the pop-up is free - for everyone to visit every day, from midday until midnight. Those looking to explore London’s weaving canal network can book tickets to enjoy an hour-long tour on the Wood’s barge. Tickets are available to purchase here and are priced at £15 per person for the tour, this price includes a Wood’s cocktail."